British Prime Minister’s trade envoy to Bangladesh Rushanara Ali, MP, arrived in Dhaka on Saturday evening on a five-day official visit. She has come to Bangladesh to discuss ways to strengthen trade and investment between the two countries. During her stay, Rushanara Ali will meet members of British business community in Bangladesh, industry and business leaders, political leaders and senior members of Bangladesh government. She is scheduled to brief journalists at a press conference at the British High Commissioner’s residence in the capital on Monday afternoon. In September last year, she led a trade delegation of nine UK railway companies to Bangladesh to showcase UK expertise in railway sector. The inter-party trade envoy programme was launched in 2012 to build bilateral trade relationships and help drive economic growth in countries identified as key markets for the UK. The two-way trade between Bangladesh and the UK stands at £2.3b, officials said, adding that the UK has strong business interests in Bangladesh as it remains the largest foreign investor. The UK is the third single largest destination for exports from Bangladesh. 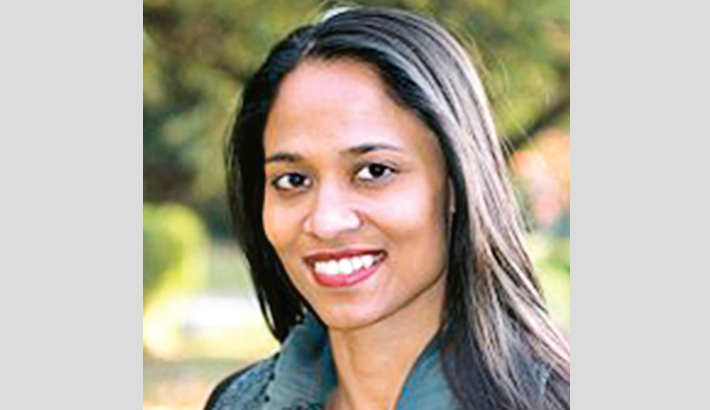 Bangladesh-born Rushanara Ali was appointed as the British Prime Minister’s envoy in 2012 to strengthen UK trade and investment relationship with Bangladesh. Last year, she was elected a member of the British Parliament for third consecutive term.